Already one of our startup has won the seedstarter in nigeria and is going to represent the country and the international level, we hope the will win at that level again. this staturday Dec 19, it promise to be No hold bar discussion with regard to challenges we are face in our startups, the meetup will have in attendence the founder of Khemsafe Computer who will share his personal stories and lesson learned on the road to building one of the longest business in kaduna. 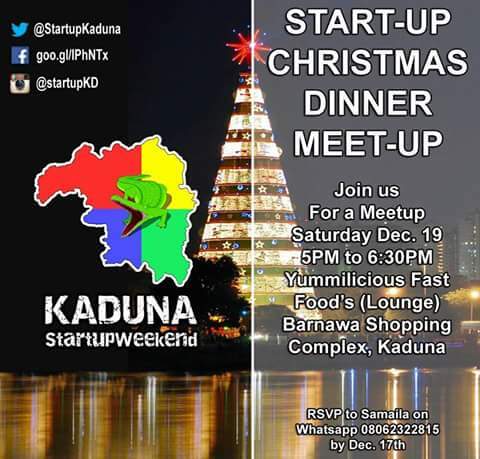 Join us for the meet up at Yummilicious Fast Foot(Lounge) Barnawa Complex kaduna. Call mr.samaila on 08065866009 to reserve your spot.